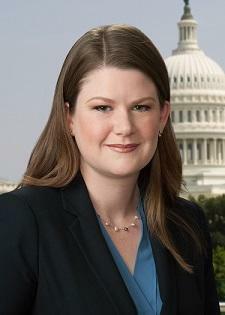 WASHINGTON, DC / ACCESSWIRE / April 24, 2017 / Earlier this month, Ifrah Law firm's Jessica Feil confirmed that she would be speaking at GiGse 2017, the nation's largest conference of US gaming industry leaders and regulators. As moderator of the session entitled Tracking regulatory updates within skill-based, social, eSports and DFS gaming challenges, Feil will be joined by panelists Susan Hensel and Kenneth L. George, Jr. to take a look at current state-by-state approaches and what impacts the new Trump administration may have on operators and their customers. 2017 Edition of GiGse will take place on April 26 - 28 at the Marriott Marquis Marina in San Diego. The event will give attendees an insight into how to monetize digital features, profile and target the current consumer base, acquire land-based users, and implement a successful social casino strategy in today's business climate. Among the topics to be covered this year are implementing and monetizing skill-based gaming, virtual reality and eSports; the regulatory environment of social gaming, skill-based gaming, eSports and daily fantasy sports; and creating political cohesion. At the end of the first day of GiGse, Jessica Feil will moderate a panel consisting of Pennsylvania Gaming Control's director of licensing and a chairman from Forest County Potawatomi. The three will lead a discussion intended to give attendees a perspective on current and future legislation that is different from industry insiders and their customers. Covering all fifty states, they will provide an understanding of each government's view on different gaming channels, explain how current regulations are affecting businesses, and help form an idea of what the Trump administration will mean to the future of the industry. In addition, on the second day of GiGse, Feil will serve as a judge on the Launchpad panel, a Shark Tank-style competition where five start-ups pitch their ideas to the GiGse audience. Feil is an associate with Ifrah Law, a Chambers top rated firm based in Washington, D.C. Specializing in the areas of online gambling, eSports, and licensing, she assists top operators in growing and expanding their businesses within regulatory guidelines. Prior to joining the firm, as Assistant Prosecuting Attorney for the Cuyahoga Country Prosecutor's Office, Feil oversaw an active docket of over 70 cases, serving as first chair on a number of assignments. Prior to that, she was an associate at a boutique criminal defense firm where she regularly appeared in court with clients at arraignments, pre-trial conferences, changes of plea, and sentencing hearings. Ifrah Law is a nationally recognized law firm that specializes in the successful navigation of government investigations, complex litigation, white-collar defense, gaming, and eSports. The firm was founded in October of 2009 by Jeff Ifrah, who has been widely recognized for his legal excellence by the National Law Journal, Chambers USA, and Nightingale's Healthcare News, among others. The firm's talented team of litigators includes seasoned members of the Federal Trade Commission and several highly trained veterans from the nation's most respected law firms. As a result, Ifrah Law is well known for its established relationships with federal prosecutors and investigators in agencies including the Department of Justice, FTC, Securities and Exchange Commission, Department of Defense, and others.